P.J. Raval is a cinematographer, writer, and filmmaker based in Austin, Texas. His first feature-length documentary, Trinidad, premiered to wide acclaim following its release in 2008. His most recent feature-length film, Before You Know It, was completed in early 2013 and had its world premiere at the 2013 South By Southwest Film Festival. Before You Know It observes the late-in-life experiences of three LGBT male Americans: Harlem-based Ty Martin, Galveston-based Robert Mainer, and Niceville and Gresham-based Dennis Creamer. Mr. Raval’s film is an Official Selection of the 2013 San Francisco International Film Festival. Mr. Raval spoke over Skype from Austin with Sean Malin of CineMalin: Film Commentary to discuss the film’s four-year-long production process, his personal responsibility towards his subjects, and what qualifies as queer film. This interview – part 1 of two parts – has been compressed, transcribed, and edited from audio for publication. It contains spoilers. Sean Malin: So you were just in Los Angeles – how was your trip out here? PJ Raval: Good! I’ve spent a lot of time in L.A., so it is a nice time to see friends. SM: What was the occasion? Were you promoting Before You Know It? PJR: No, actually. You know Film Independent? My film went through their very first documentary lab, so they brought me back as a case study to talk to the new students. That was great, to think I had just been here two years ago and now I’m talking about my film. SM: So since Film Independent put you through their lab, do they have an intensive relationship with making your film? Do representatives have to come in and see your dailies? PJR: Not necessarily. When I was in the lab, I was still in production, having only shot two of the three characters, and not even finished those [sequences.] It was mostly me showing them what I had of the film and saying, “This is what I’ve got so far, and this is where I want to take it. Do you find these ideas interesting?” No one except my editor [Kyle Henry] had seen it before, so having them look at it was quite helpful. I was living in Los Angeles at the time, and they also invited me to a lot of events and I would give or get updates that way. SM: To back up just to those first two characters: where did you get financing for your film, and how did you get started on making it? PJR: I was extremely fortunate to have received development funding from ITVS, a grant called the Diversity Development Fund. And I also got a grant from Cinereach, who later helped out with a production/post-production grant. So from the start I had some money. I’m pretty scrappy, anyways – I made a film previous to this [2008’s Trinidad] which had nowhere near as much funding *laughs* – so I knew how to stretch it, like all independent filmmakers do. So with those, even though they were development funds, I just began filmmaking, and I was way into production by the time I got further financing. For me, it was mostly just the cost of some plane tickets, some hotel stays, and not paying myself a fee. There was a small crew, maybe one other person. SM: So when you were filming, you had only one other person with you? PJR: Most of the time I was filming, it was just me and one other person on the crew. That was usually it. SM: Wow. Were you operating your camera? PJR: No, luckily. His name is Mike Simpson, he was the film’s cinematographer, and he’s also a really good friend of mine. We’ve worked together on a bunch of different things I have directed, and I sort of just said, “Will you help me on this project?” He said yes, which was important, because on a film like this, it helped to keep the crew minimal. It also helps to keep things intimate without a big group of our people. I then got a further series of grants…you’ll see at the end of the film, there’s a whole list of these film organizations. They all helped me, through funding or some sort of support lab, like Cinereach a few times and Sundance Labs. SM: Who were those first two subjects you had already filmed before getting further grants from Film Independent and Cinereach? PJR: The very first subject that I started shooting was Dennis [Creamer], who I found sort of the same way he found Rainbow Vista. 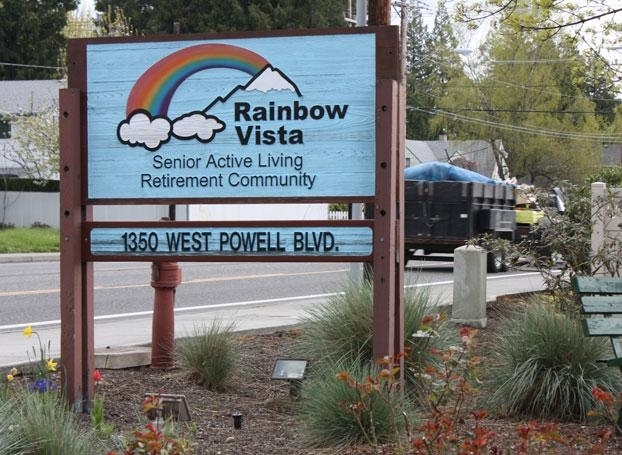 I found Rainbow Vista [a LGBT retirement community in Gresham, Oregon] on the Internet, and I told them I had this idea for a documentary. I showed them [Trinidad] and told them I would love to explore the aging LGBT community, to which they said, “What? You want to make a documentary about US?” They invited me to go out there, and Dennis was the first person I actually met. I met Ian Jones, who is in the film briefly and was, at the time, the general and facilities manager, but the first gay senior I met was actually Dennis. Within about a day I had asked if I could interview him. The initial interview I did with him became many of the soundbites in the film, and pretty immediately after that, I said to myself, “He’s really, really interesting. I’d love to see how he lives.” By two or three months later, I went to Florida and really began filming him; so the trajectory of his time in the film is true to life. I went to Florida, we started shooting, and then he flew out to Rainbow Vista to see what the place would be like if he were really there longer than a drop-in. 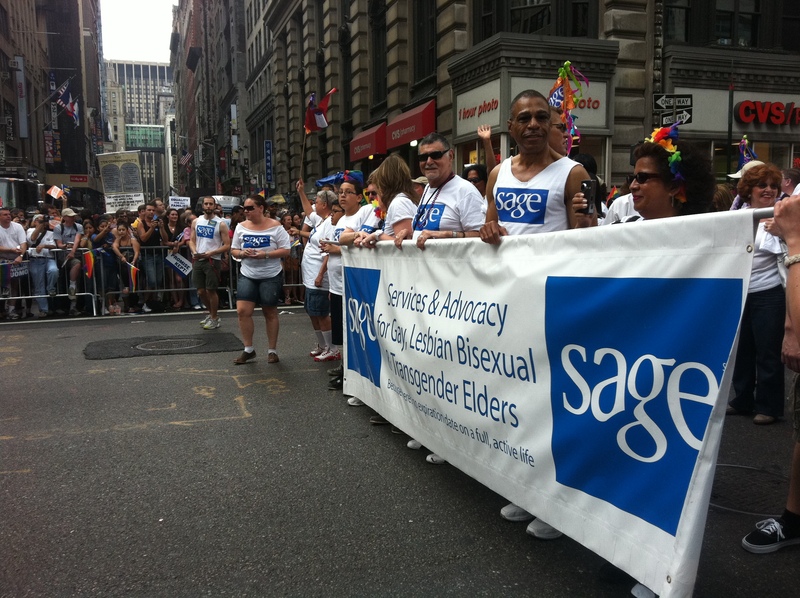 I filmed him for about six months, and right around then I found SAGE [Services & Advocacy for Gay, Lesbian, Bisexual & Transgender Elders]. I had known about their organization and had been in touch with them. Then I discovered they had a Harlem office, and I realized we rarely hear about gay culture in Harlem communities. So I went up there after speaking to Ty [Martin], who was my contact to SAGE Harlem. Originally, he was supposed to connect me to potential characters *laughs*. I followed him around for a day intending to capture what the organization actually does, and as we started to film, I said, “Oh my god, this is my character.” From that day, I filmed “Harlem” and “Portland” – or Ty and Dennis – for about another year. SM: Jeez, so to get this out now, did you start filming around 2011? SM: It’s interesting that you should say that because it occurred to me, watching the film, that with Portland and New York City as two of your locations, Austin would have been merely reiterative. The queer culture of the city seems too exposed and blossomed to still be well-rounded. Does my instinct on that make sense? PJR: Yes, a lot of sense, and for that reason I knew I didn’t want to shoot there. But I had considered maybe a nearby small town, maybe Waco. I had also had Galveston on my radar after reading an article about a series of hurricanes a few years ago, and knew it had a significant senior population. I also knew there was a series of gay bars that were supposed to be quite popular and heavily attended. Having spent a little bit of time travelling around the Gulf Coast region in Texas and Louisiana, I also started to become aware of the uniqueness of gulf coast gay culture and how many of the small towns had neighborhood gay bars that were filled with a really close group of folks. So, I drove down to Galveston for a research trip; I met Robert almost immediately, and was filming him within twenty-four hours. I filmed him for about a year and based his [sections] mostly off holidays. I was very intrigued by this sort of family structure and thought, “What are the strongest ‘family moments’, where it’s clear if family is absent?” Christmas, Thanksgiving, you know. SM: That seems like an awful lot of footage. PJR: We didn’t even start editing until July of 2012. SM: What about the stop-motion effects with the three gentlemen that bookend the film? 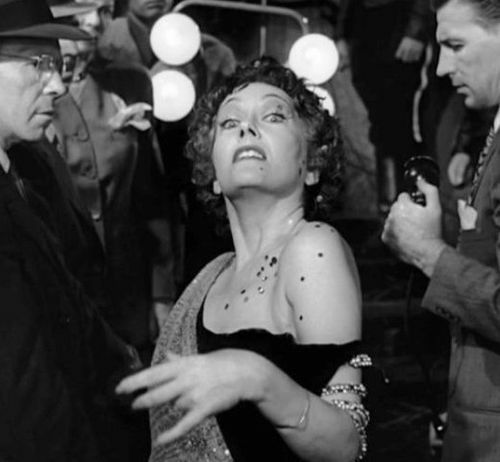 Where did you shoot those sequences, and in that range of editing, when did you get to them? PJR: Those were the very, very last things I [edited]. I wanted to play around with the visuals because this film, in particular – and I guess documentary films in general – I prefer the ones that get a little more visually poetic and lyrical. I wanted a visual that suggested the world passing you by, because time is really the big Thing for these guys, you know? One of the grants I had gotten, from the Texas Filmmaker Production Fund, which is administered by the Austin Film Society, came with some free film and some processing that Kodak had donated, which I really wanted to use. I figured I couldn’t shoot the whole documentary with it, but that I could do an amazing portraiture sequence. We shot those on Super-8 and Super-16, which was nice because it allowed me to stop in with the guys and give them an update on what was happening with the film and say hi. SM: Even though they are just a small part of your film, I’d like to dive more into the lyrics and poetics you mention. To my eye, the aura that comes from just having you, Mike Simpson, and the subject in a shot is so raw. So in creating these more poetic sequences, which are quite rare in documentary format, who were you looking to for inspiration, visually or otherwise? Maybe in content, too, if that helps – maybe you were drawing from queer filmmakers like Kuchar, or maybe just Errol Morris. PJR: I remember telling Mike that I wanted these sequences to be like moving photographs. My background is in photography – that’s what I did during my undergraduate study – and I remember saying something like, “The idea of the photograph as document.” Also, this idea of having it on film, which has a certain quality…it can fade, it’s not as permanent as digital, which the rest of the film was shot in. I really wanted to play with that visual sense of time and space. To be quite honest, if I had to think of references there, there is a lot of photography. There’s a lot of portraiture photography I like. I specifically wanted the direct gaze, that stare. Yeah, you know…Diane Arbus? But I didn’t want to treat them the way she treats her subjects. I just like the environment that she has surrounding them. Maybe, like, a combination of her and [Edward] Weston. 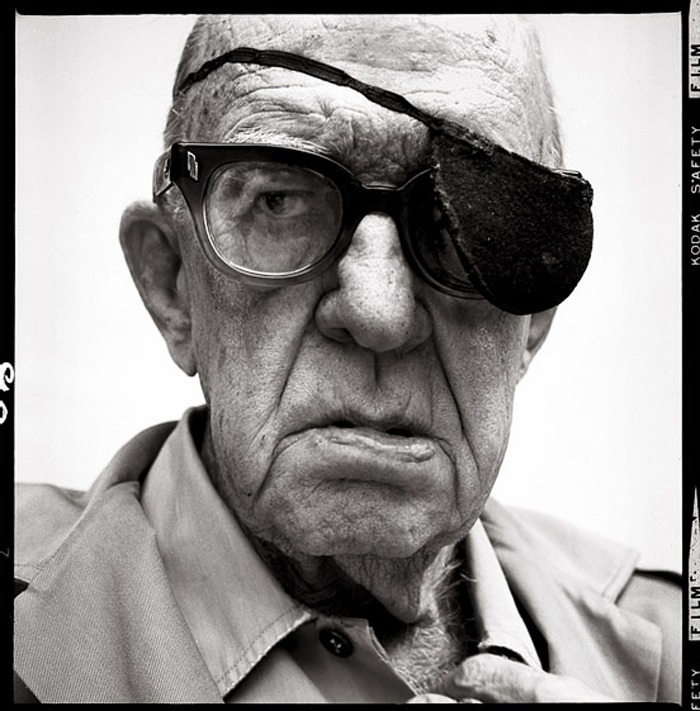 Or [Richard] Avedon, who does more studio portraiture than I wanted to keep it about the environment. SM: Avedon seems like an important point of comparison in dealing with queer subject matter, people of color, outsider influence, etc. PJR: It was the bar, it had to be the bar, it’s the center of his universe. And for Ty, I knew I wanted to do something with Stanton [Ty’s long-term partner] because so much of his line is about partnership. I loved the idea of just putting the men out on the street because Harlem is all about, “It’s New York, you know? We’ve got to be on the street.” With Dennis, it was the trickiest, because he was always in transition and always somewhere else. So I envisioned him on a bridge between two spaces. And I had a lot of fun shooting that stuff. SM: I imagine it must have been just as much fun for these guys, as well, to be the subject of a film portrait.